God’s wonderful Plan for humanity is to restore mankind to the original human perfection that Adam lost by disobedience. An exception to this will be the Christian Church, whom God will change from human nature to spiritual nature. Some suppose that all the “saved” go to heaven, but this is far from the truth. 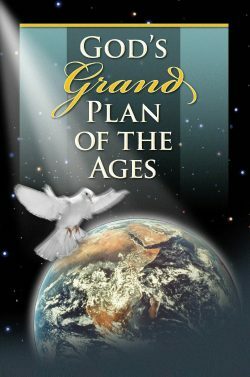 Those saved during the Millennium—which is most of the world—will be blessed with a perfect home here on Earth. Only the Church is offered a spiritual nature. God will save both the world and the Church from Adamic condemnation through Jesus Christ (1 Timothy 2:4-6), but only the Church, having responded to the “high calling” of this Gospel Age, will become “partakers of the divine nature” (2 Peter 1:4). The Scriptures teach three Ways! One is Broad that leads to destruction, contrasted with a Narrow Way that leads to life now. In the future during the Millennial Age, a Highway of Holiness will open, on which it will be easier to walk. 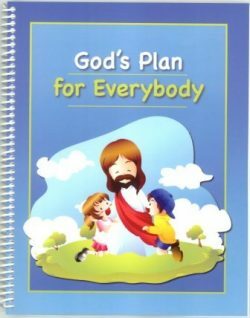 Unfold the back cover chart as we follow the steps of God’s Plan of salvation. This Chart illustrates the various ages of time from Adam to the end of the Millennium followed by the “Ages to Come.” It shows the unfolding of God’s Plan and the steps taken from mankind’s condemnation to its restoration—as well as those leading to the exaltation of the elect Church. 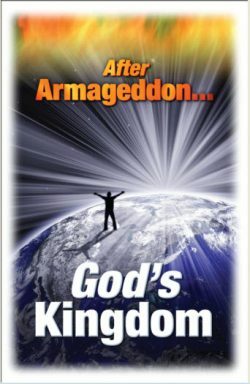 In the first book of Divine Revelation, God declares His purpose for His earthly creation and its government. “And God said, Let us make man in our image, after our likeness: and let them have dominion over the fish of the sea, and over the fowl of the air, and over the cattle, and over all the earth … So God created man in his own image, in the image of God created he him; male and female created he them. And God blessed them, and God said to them, Be fruitful and multiply, and replenish [fill] the earth, and subdue it: and have dominion over every living thing that moveth upon the earth” (Genesis 1:26-28). The dominion of earth was placed in the hands of father Adam. He was perfect and fully qualified to be ruler and king of the earth. But the dominion was not for him alone; he represented all his posterity. “Let them have dominion.” If the human race had remained sinless, this dominion would never have passed out of its hands. 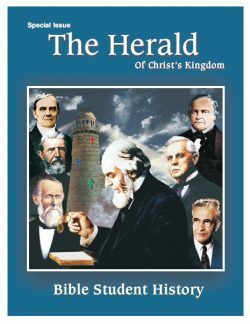 The prominent theme woven throughout the Old and New Testament is the Kingdom of God and its ruler, Messiah. 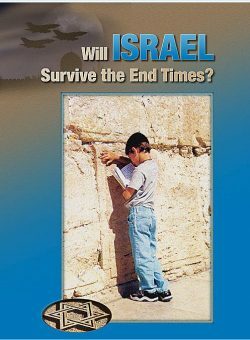 Because of all the promises and prophecies pointing toward the exaltation of their nation under Messiah, the Kingdom was the hope and “expectation” of every Israelite (Luke 3:15). As we have seen in our studies of both nature and revelation, we have a wise, intelligent, almighty and righteous Creator. The Bible is the revelation of His character and plan for man. Through it we have learned that while evil has been permitted, it is for a very good purpose and for a limited time. The darkness and suffering on this earth will soon be replaced with His glory and overflowing blessings.